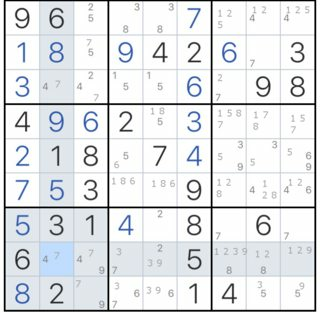 I keep staring at this sudoku puzzle and can't seem to find the next move. Is the next move a guessing move? 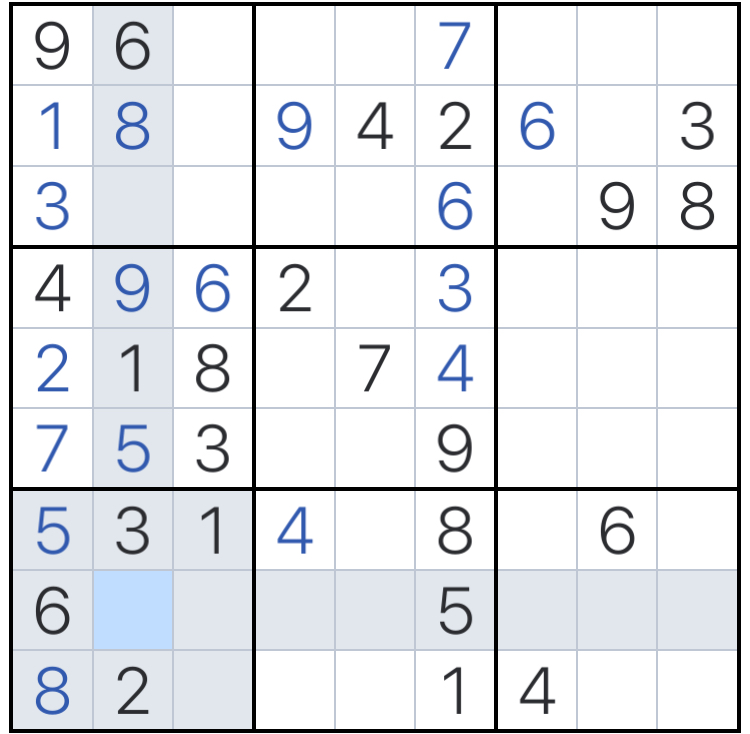 I thought sudoku always has clear solutions, you just need to figure them out. No you shouldn't guess. 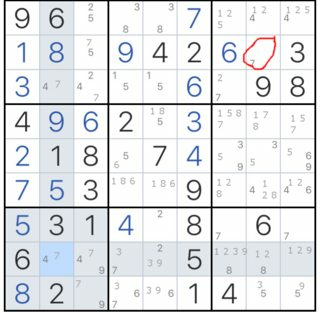 The puzzle has a unique solution. However, you can't continue unless you calculate all possibilities. Once you do that, solving the puzzle will be easy. I have added the possibilities below. If you want to do that on your own, don't look down. 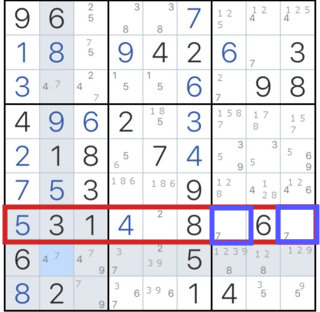 others pointed out in the comments that it is unclear why that particular cell cannot have a 5. To explain, in the red column there are 2 cells indicated in blue. They have two possibilities: (3,5). No matter how the possibilities are distributed, any of the cells will definitely have a 3 and the other a 5. 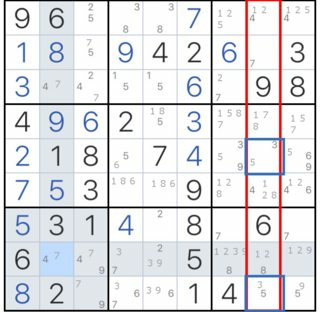 Which makes it impossible for any other cell in that column to have a 3 or a 5. 2,4 and 7 cannot be in the middle square bottom row, which means that there has to be 1 and 6.
the 8 must be in the top middle and that there must be a 5 to the middle left in the middle square, and so on.